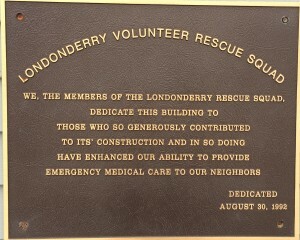 The Londonderry Volunteer Rescue Squad (LVRS) is a paramedic level ambulance service licensed in the State of Vermont. Located in Londonderry, our service area includes all or part of eight neighboring towns: Londonderry, South Londonderry, Landgrove, Weston, Peru, Winhall, Windham and Stratton. We cover 255 square miles of mountainous terrain, and average 500 calls per year. Our mission is to help the members of our community when they need us most – arriving with skilled, licensed EMT’s at any time of the day or night. We never charge for our services, and are the last all-volunteer squad in Vermont that provides free patient care and emergency transport. 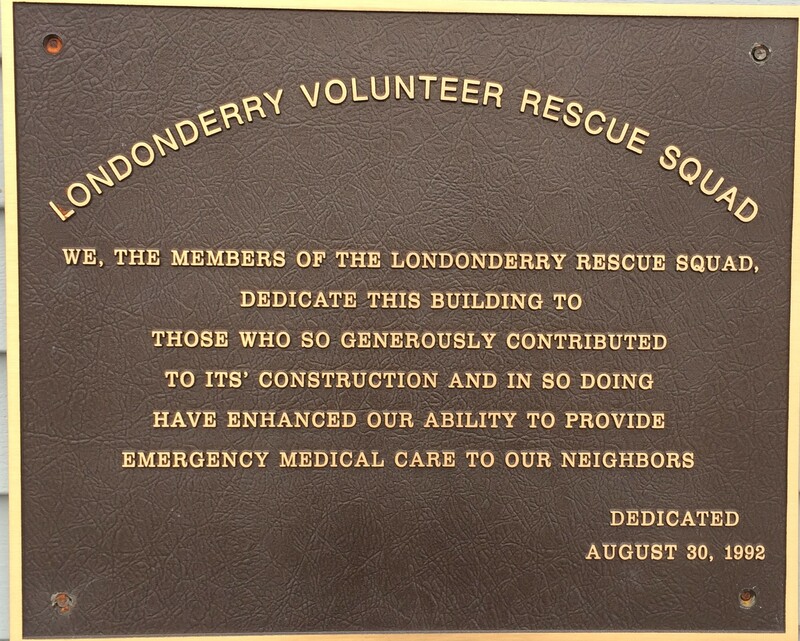 Known locally as LVRS, we currently have about forty volunteer members and operate two fully stocked advanced life support ambulances and a heavy duty rescue truck,operated by Londonderry Technical Rescue, that is equipped with vehicle extrication tools and mountain rescue equipment. We also have a Mass Casualty Incident (MCI) trailer that has supplies for large emergencies. Whenever possible we offer our patients a choice of transport to Springfield Hospital, Rutland Regional Medical Center, Southern Vermont Medical Center in Bennington, Grace Cottage Hospital in Townshend, or Brattleboro Memorial Hospital. The DHART helicopter service is available to transport serious trauma and medical patients when weather conditions allow. LVRS was incorporated in 1963, starting with a 1953 Cadillac as our ambulance. Through the generosity of our communities, we have come a long way since then but still rely on a small contribution from each of the towns we serve, the occasional grant, an annual fundraising raffle, and on generous individual donations to cover the annual budget, operating costs, training, and the purchase of ambulances and equipment. Please help us help others – Join LVRS. There are two meetings every month at the squad building; a business meeting on the first Thursday at 19:00 and a training meeting on the third Thursday of the month at 19:00. New volunteers are always welcome, and we help with training at the EMR, EMT, and AEMT levels as well as ambulance driver training.